Birds of Prey finally has a full (bird) house. 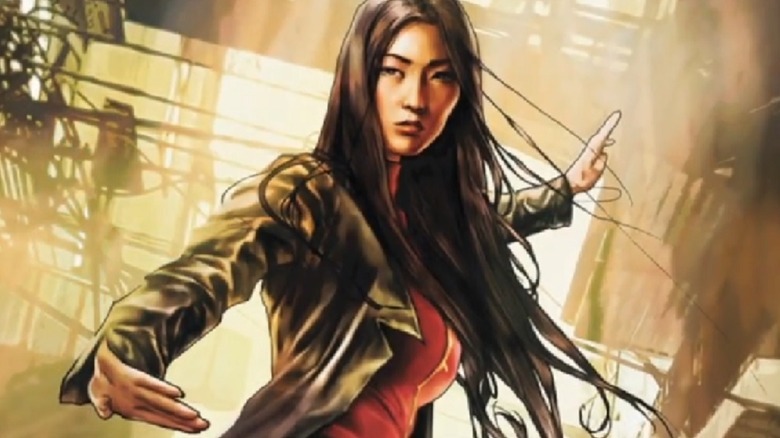 Newcomer Ella Jay Basco has landed the part of Cassandra Cain, the last important role to be filled for Warner Brothers' forthcoming Suicide Squad spin-off. Basco joins Margot Robbie, who will reprise her role as Harley Quinn from that film, in director Cathy Yan's adaptation. Per Variety, Birds of Prey will be the youngster's big screen debut. She's previously appeared in one-off guest roles on television series including Grey's Anatomy, Veep, and Teachers. DC fans have reason to be excited over the character's inclusion in the film. In the comics, Cassandra is raised from birth by her parents — both ruthless assassins — to carry on in the family business, and she's forbidden to have any human contact or even to speak. After being turned loose in the world, she becomes the ward of Barbara Gordon, AKA Oracle, after saving the life of Commissioner Gordon. This leads to her becoming the second Batgirl, the first incarnation of that character to hold down her own solo series. Back in April, it was reported that Warner Brothers is indeed developing a Batgirl movie, with scripting duties taken over by Bumblebee scribe Christina Hodson — also responsible for Birds of Prey's script — after Joss Whedon left the project. It's unclear, however, if Basco is being considered to lead that film. As far as Birds of Prey is concerned, Cassandra will be key to the plot. The titular team — consisting of Harley Quinn, Huntress (Mary Elizabeth Winstead), and Black Canary (Jurnee Smollett-Bell) — will be called into service to protect Cassandra after she comes into possession of a mysterious diamond belonging to Gotham's resident crime boss, Black Mask (Ewan McGregor). Interestingly, it's a story quite similar to the one pitched by writer-director Gavin O'Connor for Suicide Squad 2, to which he was briefly attached. When development on Birds of Prey began in earnest, O'Connor departed the team-up sequel, to be replaced by James Gunn, who has been tasked with rebuilding it from the ground up. It's become clear that Warner Brothers is serious about building an amazingly diverse roster of talent for Birds of Prey on both sides of the camera. In addition to its largely female cast, Yan will become the first Asian-American woman to helm a big-budget tentpole picture, after making a splash with her indie feature Dead Pigs. 2017's Wonder Woman proved that a superhero film led by female talent can score big box office bucks, not to mention rave critical notices, and it's evident that Warner's brass was paying attention. We'll see what Yan and company have in store for us when Birds of Prey hits theaters on February 7, 2020.